Traditional retailers need to stay sharp to combat the surging popularity of online stores. Here’s how big-box retailers are winning back customers who have become regular online shoppers. If you’ve visited certain Bunnings Warehouses recently, you might have stopped to have a coffee at their in-store café. Or maybe you’ve been to a home furnishing store which uses virtual reality to show how your new bed ensemble may look in your actual bedroom. It’s no accident traditional retailers are going above and beyond to better service their shoppers. After losing customers and profits to online retailers like Amazon for more than a decade, bricks and mortar stores are fighting back with a weapon online stores do not have in their arsenal – in-store experiences. Retailers are introducing playground and crèche facilities, hospitality services like cafés, and either physical or virtual demonstration sections. They’re giving customers the ability to touch and hold their products, widening aisles and making car parking easier. 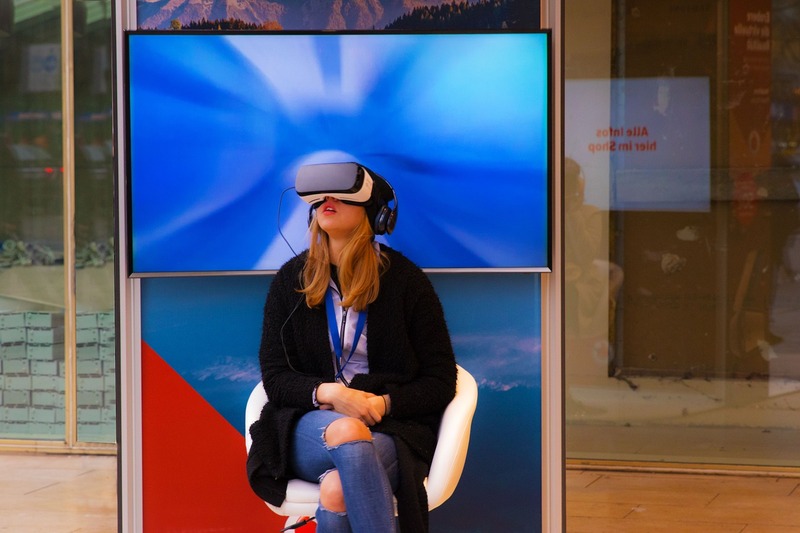 In short, they’re doing anything they can to help their customers stay a little longer, spend a little more and come back more often with experiential retail. This strategy has been seen internationally. In 2015, American grocery chain Walmart began rolling out a number of experiential retail changes, specifically to help it compete with Amazon. They introduced health food-focussed Chobani cafés into their stores and rolled out new technology: customers can use a tablet to order at the deli counter and there are touchscreens at the end of aisles so customers can “search” for what they need. Walmart even tested a “drive-up” service, so their online customers could collect their shopping just a couple of hours after ordering it, at a discounted price. Stores are doing whatever they can to eliminate the kinds of situations that discourage customers from visiting bricks and mortar retailers. Some are eliminating checkout queues with revolutionary ways to pay, offering exclusive items in-store and hosting special events. Others are creating interactive window displays, or leveraging their smartphone apps to push special offers to customers while they’re in-store. Location has always been a key factor in any commercial property investment decision, but it is a vital factor for any potential tenant planning for experiential retail. The better the location of a store, the less of a disincentive it is to get in the car and drive to it, over ordering a product online. The more prominent the store and the higher the volume of passing traffic, the more likely a customer is expected to visit. So, demographics and consumer data — including population density, foot traffic, per capita income, and so on — should all be considered in the due diligence undertaken before investment. There’s also an opportunity for commercial property owners to improve their assets with experiential retail in mind. Providing wider car parking spaces, improving the appearance of the property’s exterior and upgrading the interior design will all make an investment more attractive to potential clients looking to have an edge over online competitors. There’s a lot a landlord can do but it’s important to get the balance right so you don’t over-capitalise. A smart way to ensure you get it right is to invest alongside an experienced investor. If you’d like more information about our proven approach to commercial property investment, get in touch with Properties & Pathways.